When I meet people I'm often asked, "What do you do?" I usually reply that I wear many hats. I am a seeker of truth, husband and father, simple church proponent, non-profit organization founder, English teacher, personal coach and online tent-maker (that's a term that means making a living is something I consider necessary but secondary to main purpose in life). I live in Singapore where the cost of living is very high and yes I am a regular person with a mortgage. My entrepreneurial journey began in 2012 with creating niche websites on a variety of topics ranging from coffee to ants. Putting those together was hard work but the returns were barely enough to pay the utility bills. Still I do make some change every month from the handful of sites created...but that was just something I did not enjoy doing. Things really started to get interesting when I discovered selling on Amazon from a marketing blitz by what seemed like every Internet Marketer on the planet. They were all trying to sell a course called the Amazing Selling Machine (ASM) which was priced at almost $4,000 and obviously paid a high affiliate commission for referrals (I later found out from a friend that they offered him $2,000 per sign-up if he would promote their course). I have to say the pre-launch videos were intriguing and got me interested in selling on Amazon. At the time I did not even know you could sell on Amazon, let alone that anyone can sell on Amazon from outside the USA! Due to the high price of ASM, I did some online research for reviews of the course. Considering this was the second year it was running, there was surprisingly little info about it. Ironically, this research led to the discovery of the Proven Amazon Course (PAC) and My Silent Team (MST) which had tremendous reviews and social authority from a wide spectrum of users...and the cost was 95% lower! The clincher for me though was the money back guarantee. The ASM had a limited 30 or 60 day guarantee, but looking at the course schedule, the good stuff was scheduled after the refundable period (hmmm...). The PAC however has an unconditional lifetime money-back policy. That's pretty incredible and speaks volumes. Furthermore, PAC came bundled with an enormous amount of material all for one reasonable price. So with nothing to lose I registered at the end of October 2013. In Nov 2013, I registered a professional seller account on Amazon and sent in my first small shipment to Amazon's fulfillment centers for sale using Fulfillment By Amazon (FBA). By December I had my first private label product, which climbed into the top 1% of sales in its category on Feb 4, 2014. From February, I added another strategy - Fast Turns - as espoused by Duane Malek. In March I started to venture into international territory with Amazon in the UK. This amazing journey is the result of not just the wealth of resources - books, videos, audios, etc. in the Proven Amazon Course, but more importantly the networking, peer sharing and incredible culture of helping one another and working together in the PAC/MST community. Where does the journey go from here? Follow along on the blog...the sky's the limit! Youth TransformNations is the non-profit started by my wife and I. She is really the visionary for many of the initiatives in YTN. ChampionKids is the children's home and English-Medium School we have in rural India. We choose to work in this area because nobody else bothers to take a domestic flight plus 2 hour drive there (most organization stay close to the major cities). Please visit this page if you would like to sponsor a child or give towards building the school. 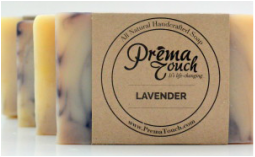 PremaTouch Products (formerly known as Freedom Soap) are made by Nepalese women who have been rescued from trafficking in Kolkata, India. Our soap provides employment for the rescued women through sales in the US and Singapore. The Soap Haven provides quality natural soap. 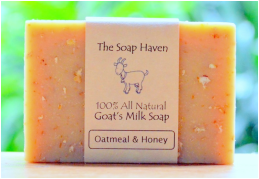 Our bestseller in Singapore is the Goat Milk Oatmeal & Honey soap which has helped our loyal customers who suffer from eczema, psoriasis and rosacea, where doctor's prescriptions of steroids and medications have failed. Natural soap is also the choice for anyone who is aware of the potential dangers of Cetaphil, QV and almost all commercial soap brands, which all contain parabens that are banned for use on children in the European Union and which a 10 year World Health Organisation study has linked to numerous health problems in developed countries such as learning disorders, ADHD, autism, asthma, developmental and growth problems, infertility, certain cancers, etc.